Manufactured in Japon from 1961 until 0. 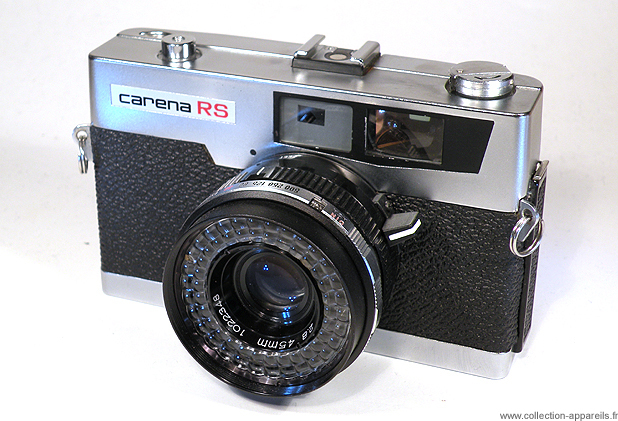 This camera is not other thing than the Petri 7 renamed by Carena. Like the Petri 7, 7S and 7 pro, it has a cell with selenium around the lens coupled with the rings speeds and apertures.